The key to any successful business is the people who run it — from top to bottom. The quality of the human minds you have driving your project forwards ultimately define its success (or failure). This was most recently brought to my attention when most of the ManageWP team got together to celebrate the re-launch of our website and blog. 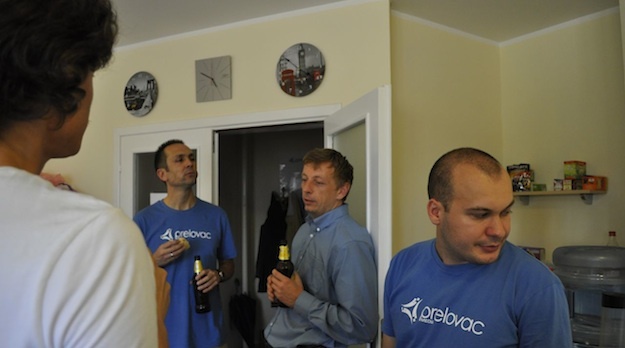 Over the past two years, Vladimir Prelovac has built up a team of extremely talented programmers, developers, designers, support staff, and administrators. And if there was one thing I learned from my own trip to Belgrade earlier this year, it is that the ManageWP will take any good excuse to break out the beers and celebrate another job well done. Many months and thousands of lines of code later, the end product. 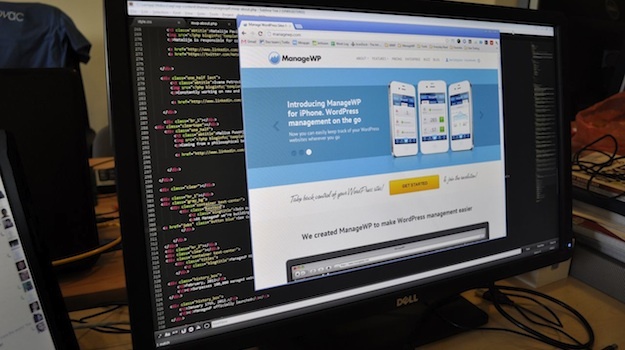 It was a collaborative effort between every single ManageWP team member, and has been in development for many months. The design is particularly significant to us, as it was incredibly important for it to reflect our most important asset — our team. Dejan and Dusan apply the finished touches to the new site design. Vladimir joins his cohorts for a brewskie. The kind of team spirit that has been built at ManageWP HQ in the heart of Belgrade cannot easily be copied. It takes time, and a lot of resources. We’re really proud of our service, which is the direct end result of our efforts to put together a quality team. As time passes, ManageWP will continue to become a better product, backed up by real people who value the satisfaction of you, the user, more than anything. In just two years, we have amassed over 35,000 users who collectively manage over 150,000 sites. Are you part of the ManageWP revolution yet? Just wanted to let you guys know I love your product. 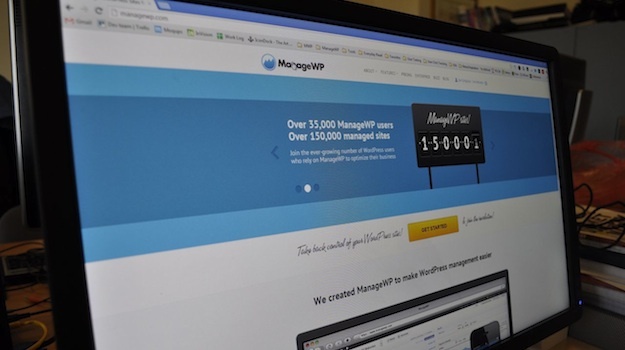 Since I started using ManageWP, my business and productivity have increased tremendously. Congrats on the new site. It looks amazing! Thank you Jesse, appreciate it!